Are you looking for a compact travel trailer that's easy for you to move around inside? This Micro Minnie offers a booth dinette for dining, sleeping, and relaxing. 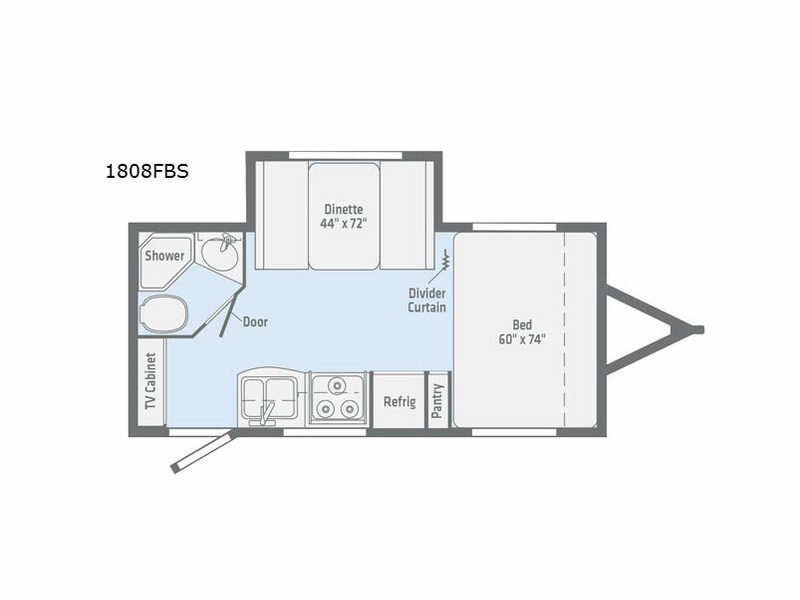 You can sleep peacefully each night on an RV queen bed with a divider curtain for privacy, and your two young children or your best friend can sleep on the dinette. 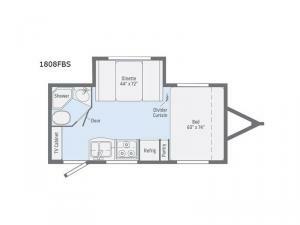 The full bathroom provides a private space to change clothes and get cleaned up, and the cook can use the three-burner cooktop or microwave to make meals indoors while you relax in a lawn chair outside. With each Micro Minnie by Winnebago Industries Towables, you will find plenty of modern conveniences, like the 13,500 BTU air conditioner and Noble Classic high-gloss fiberglass sidewalls, all in a compact and easy-to-tow package. You will also find an LED TV, an AV system with AM/FM/CD/DVD/USB/Bluetooth for indoor entertainment, exterior speakers to crank up the tunes, and an electric awning with LED lights for protection from the outside elements while you're gathered together around the campfire or simply enjoying the fresh air.